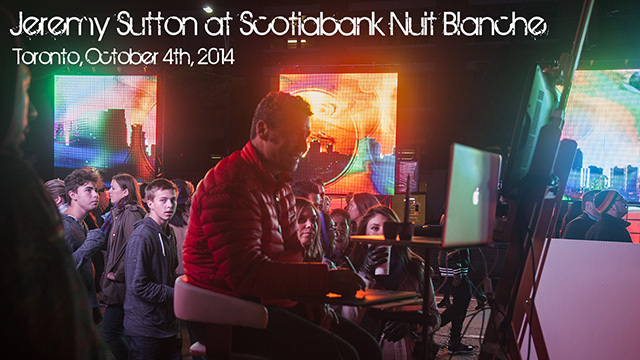 The Scotiabank Nuit Blanche is an annual all night arts festival (7pm – 7am!) that attracts over one million attendees. 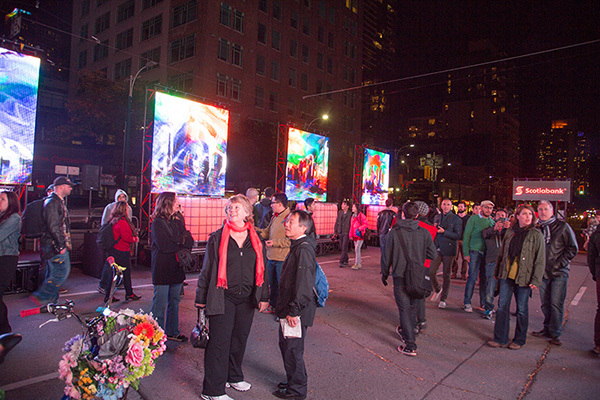 Art installations of all kinds pop up for one night throughout downtown Toronto. 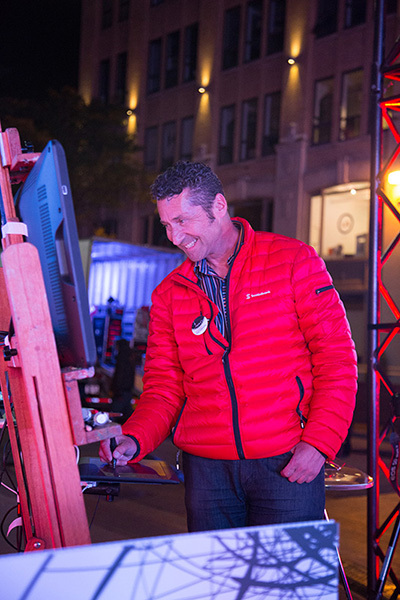 I was invited to perform live digital painting by Nuit Blanche sponsor Scotiabank at this year’s Nuit Blanche. 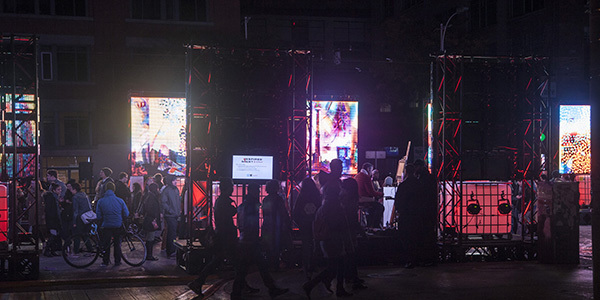 Scotiabank had an art installation,”1nspired Night”, set up on a main street called Spandina Avenue. 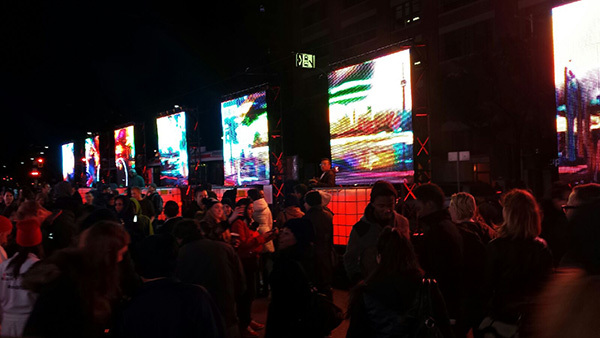 There were two banks of seven 8’ x 8’ LED screens spread over 100’ length. 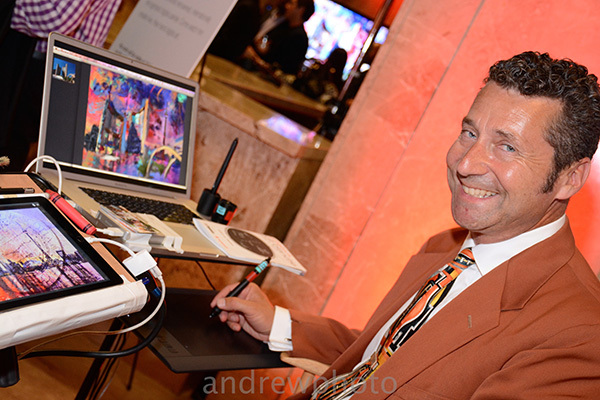 I created a live digital painting using Corel Painter 2015 and a Wacom Intuos Pro pen tablet that was displayed in real time over the seven screens (my artwork had a 7:1 aspect ratio). I continuously worked on a single canvas, taking it through many many stages. 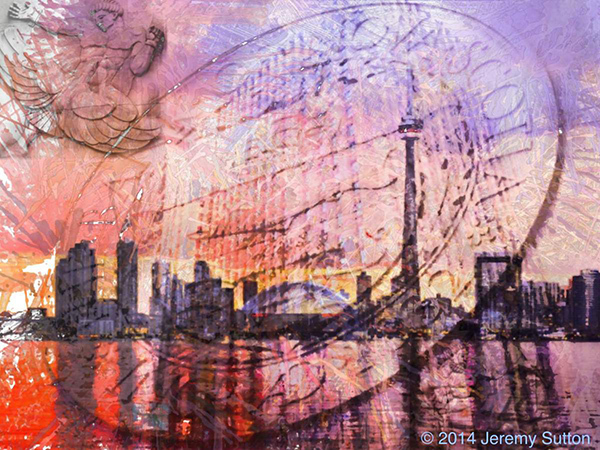 I painted themes and motifs connected with Toronto, including the iconic skyline, the neighborhoods, the bluffs, the street cars, the new and old City Hall, the city logo, and so on. I worked with a mix of pure paint, photographs, patterns and textures. 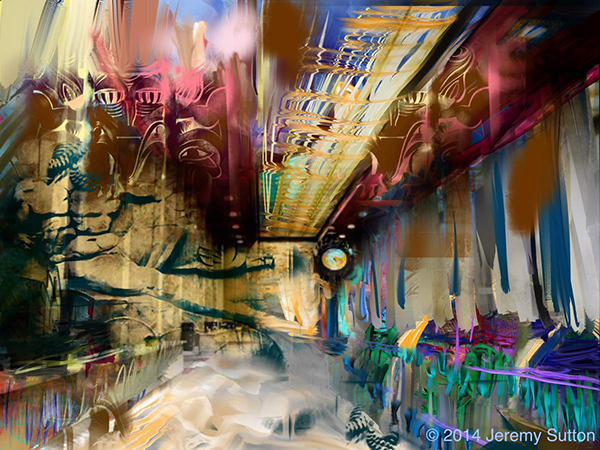 My ever-transforming canvas and mixing of images paralleled the music mixing of the DJ. 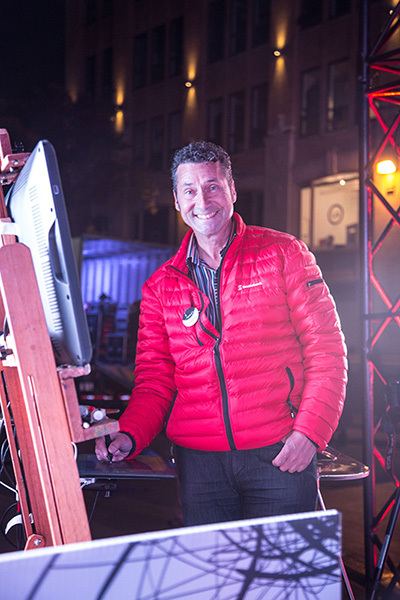 I had the pleasure of speaking with you and watching you at work in the cold night hours of Nuit Blanche. Between the Earth and the Sky was the theme of the night and you fulfilled the mandate perfectly! It was a wonderful example of the meeting of the earth, up to date technology, and the heavens, the inspiration for fine art. 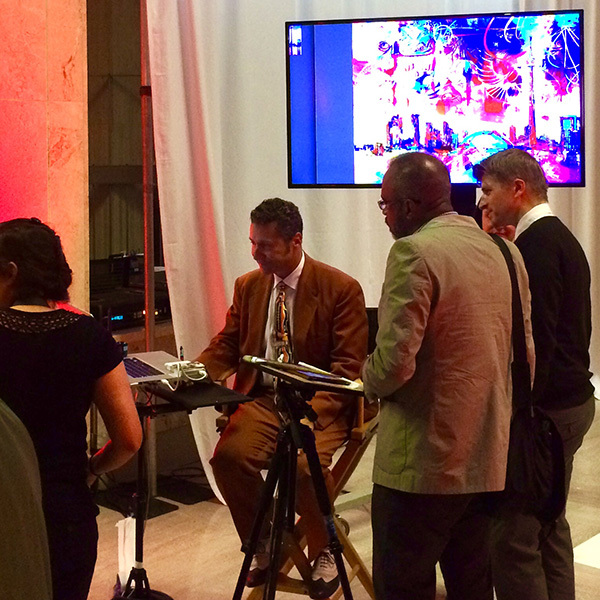 It was a delight to see the classical art of fine drawing and it’s contemporary digital application. 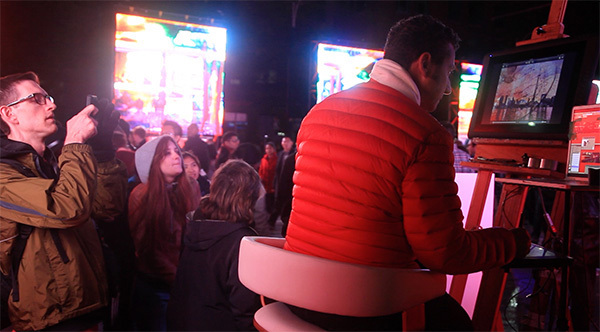 It was also one of the most successful installations of the whole event in my opinion. You lit the night sky with those fabulous, bright screens in an avenue of radiant colours. And of course the subject was delightfully metropolitan. 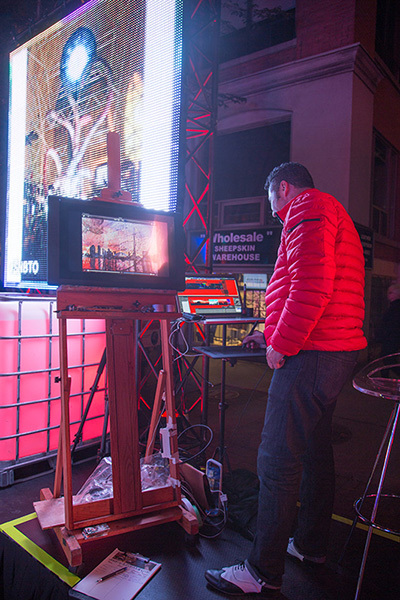 Thanks so much for sharing the video of your Nuit Blanche performance which was marvelous. 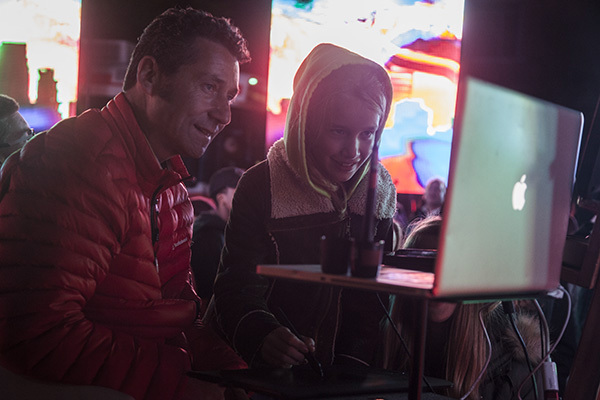 I’m so glad you braved the cold night to share your vision of our city with all who passed and stopped to watch. 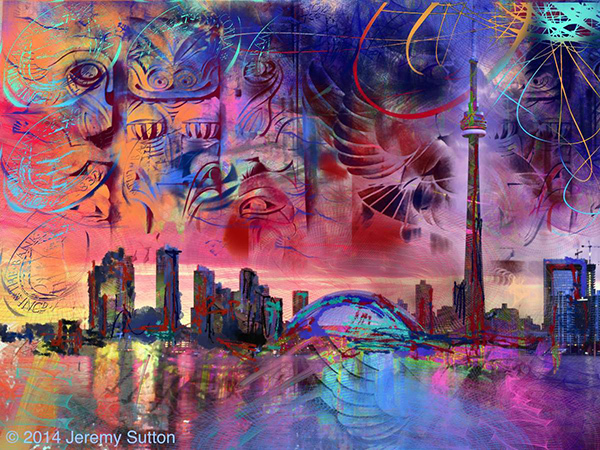 Of all the portraits of Toronto that I have ever seen yours captured the dynamism and beauty of what I think is one of the best cities in Canada. The movement and light, colour, the all encompassing total of what you saw and gave back to us was mesmerizing. I will look at the video whenever I need a lift. 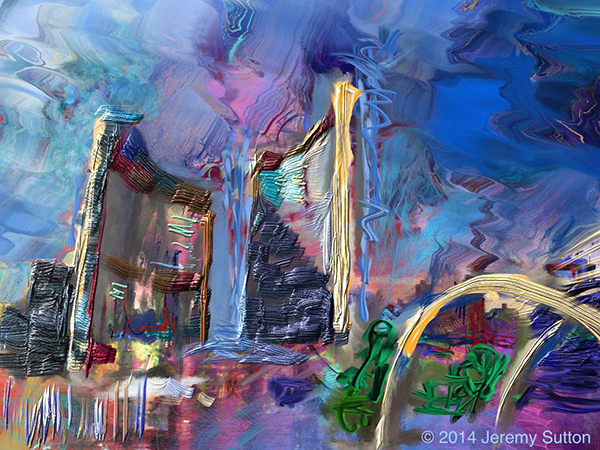 As I painted I captured various stages of my ever-changing artwork. Here are a few of the stages. 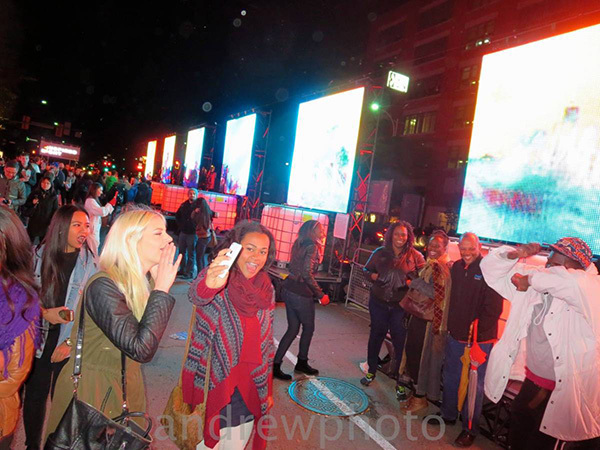 You have to imagine these split into seven 8′ x 8′ square LED screens spread over 100 feet! 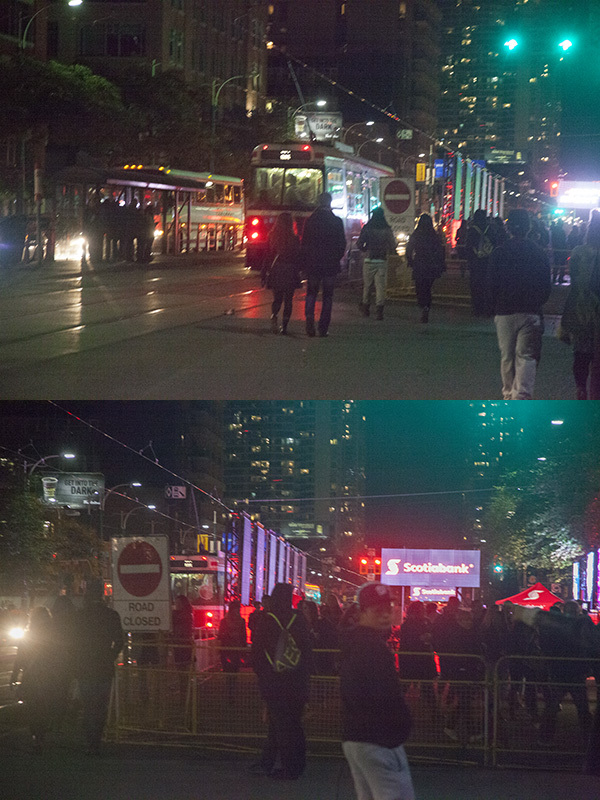 Here are some photos from the Nuit Blanche evening. Thanks to everyone who kindly shared their photos with me. “beautiful! very good!” ~ Alice B. “love your work!” ~ Christina S.
“Very cool!” ~ Lisa W.
“nice work!” ~ Paul P.
Here are some photos from the Pre-Nuit Reception at Scotiabank. 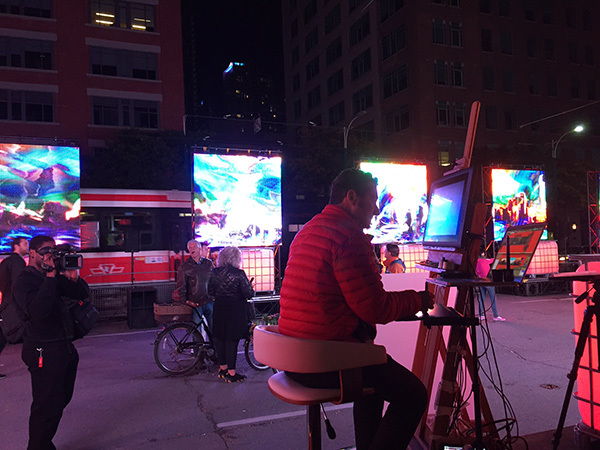 Big thanks to Scotiabank and kbs+ for hiring me to perform at this wonderful festival. Thank you Galant, Toni, Mary and the great team who made everything run so smoothly and were so hospitable to me! I love Toronto! Your paintings are fantastic!!. 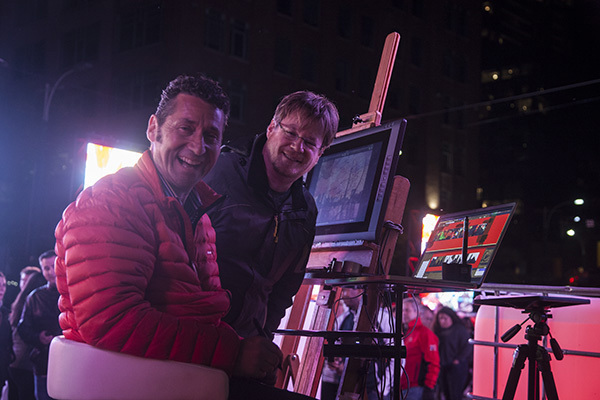 I love your pictures and all the bright colors and exciting creative work and scenes of Toronto. I’m sure the people of Toronto loved them as well. You have a wonderful creative gift and it is great you are using it for others to appreciate and enjoy. You are way awesome, my friend!